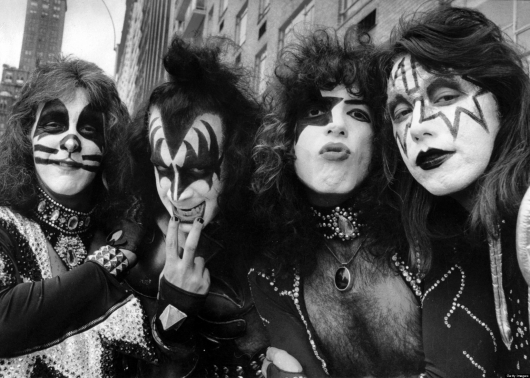 After years of being snubbed by the Rock and Roll Hall Of Fame, the band KISS was finally announced as one of this year’s inductees. Quickly, fans wondered which line-up of KISS, which has seen plenty of band members come and go and come back again since their first release in 1974, would perform at the induction ceremony. As it turns out, KISS won’t be performing at the event at all. interview on Friday night on the “Eddie Trunk Rocks” radio show on New York’s Q104.3 FM, that prompted the band’s official statement today, in which they claim that they “have never refused to play with Ace and Peter,” but because of all the controversy, they’ve decided not to perform at all. 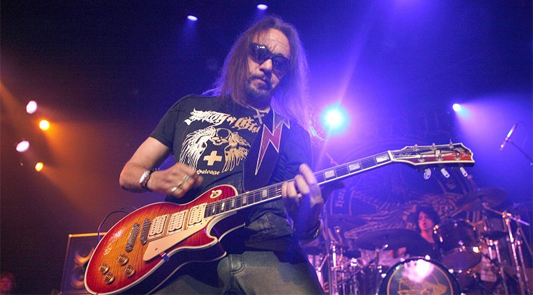 But Simmons has gone on record several times recently to say he had no interest in ever playing again with Frehley and Criss, who he likened to being like ex-wives, as well as cancer, stating that his former bandmates had exhausted their chances to play with him. KISS’s self-titled debut just celebrated its 40th anniversary on February 18, 2014. The current incarnation of KISS — Simmons, Stanley, Thayer, and Singer — has been together for the last 13 years, while Frehley and Criss reunited on stage for the first time in 13 years at Eddie Trunk’s 30th anniversary celebration. In their official statement, KISS mentioned that former members Bruce Kulick and the late Eric Carr would also be inducted, though they made no mention of other previous bandmates, Vinnie Vincent and the late Mark St. John. Other artists to be inducted this year are Nirvana, Hall and Oates, Linda Ronstadt, Peter Gabriel, and Cat Stevens. The Rock and Roll Hall Of Fame ceremony will be held in Brooklyn, NY, at The Barclay’s Center on Thursday, April 10. 2014, marking the first time the ceremonies will be open to the public in New York. Tickets for the ceremony go on sale Saturday, March 1 at 10 am EST, with an American Express cardholder pre-sale going on from Monday, February 24 at 9am EST through Friday, February 28 at 10pm.